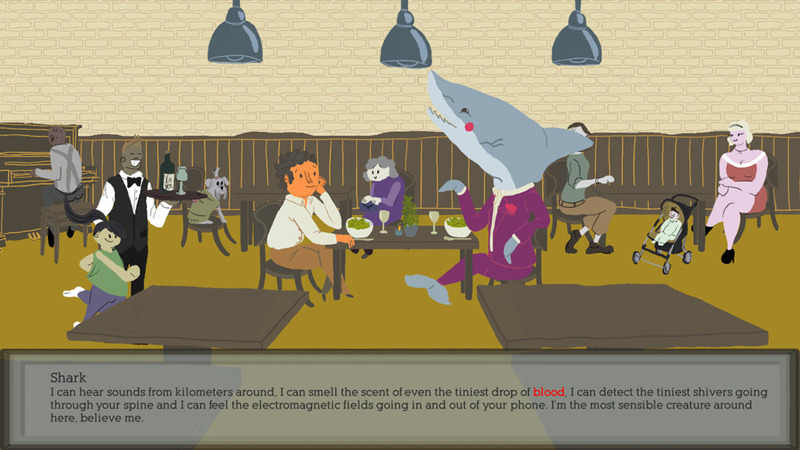 "A hilarious dating simulator where you play as a shark!" 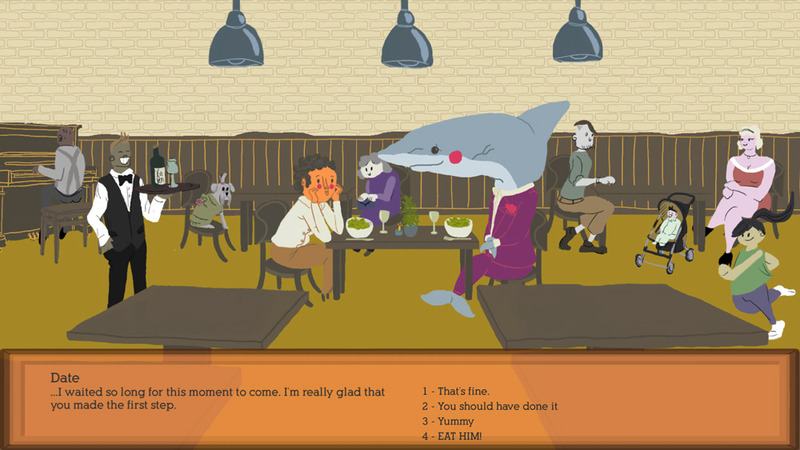 Jawesome Date is a funny and silly but very charming dating simulator game where you take on the role of a gay shark who has finally got the courage up to ask out the vegan human he desires for a dinner date. 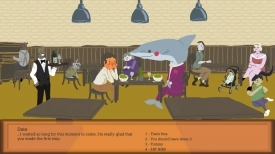 During the course of the date you will have a series of multiple choice replies you can answer to questions that your date will ask you, you can try to appease your date who it must be pointed out is a vegan and an animal lover and his interests may conflict with yours, so in your responses you can try to say what he wants to hear, or be more honest or try to tow a line in between both of these things. Playing it few a through times there were new responses each time and depending on the replies you give you will find it changes the possible outcomes each time you play through the game, although you may find the final result of the date tends to be pretty much the same however the conversation to get there is very amusing and the overall game is very funny and charming. 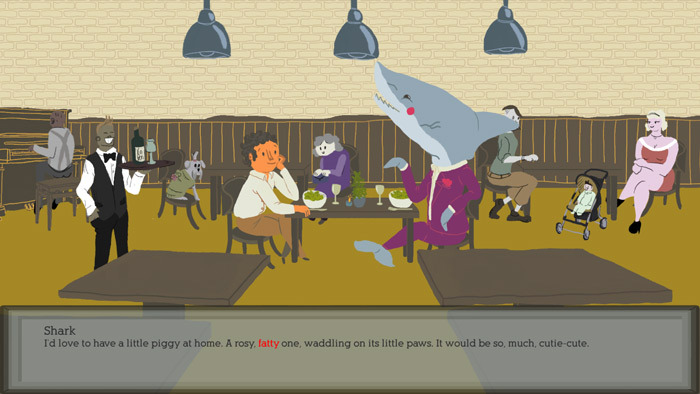 You can download Jawesome Date here for free.